Ganzeboom stocks a lot of rebuild gearboxes, but also good used and new gearboxes. Also if we do not have a certain gearbox in stock, we can often provide a fast and economic solution. In this search engine it is best to search with Gearbox number (Versnellingsbakcode - unfortunately only in Dutch). You can also contact us by telephone to help you find the right gearbox for you. Nowadays you will find complex gearboxes made up out of a lot of parts in motorvehicles. Gearboxes have developed in a rapid pace. You'll find very complex gearboxes made out of a lot of parts in modern motor vehicles. Most personal vehicles have five shifts, some even have six and they all have one shift to drive the vehicle backwards. There are also bigger and heavier vehicles with many more shifts. These vehicles can perform optimally under various conditions because they have multiple shifts. Vehicles can also have different gearboxes. An automatic motor vehicle has an automatical gearbox, this means one doesn't have to shift while driving. These vehicles have no clutch and the gearbox can shift itself into a different speed. However, the majority of the motor vehicles have manual transmissions, this means that there is a clutch present and the driver will have to switch into another gear. Because of this, the driver can decide if and when to switch gears and at how many revolutions per minute (RPM). The driver can accelarate faster (by not switching gears), or drive more economical by driving at a low RPM. Incase you are hearing loud noises or if your gearbox loses its gear it is wise to have your gearbox rebuild. 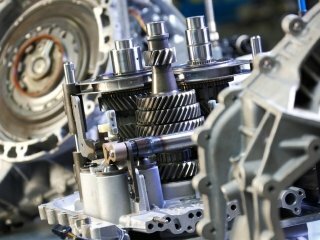 The gearbox in a motor vehicle is used intensivelly, so parts can wear out, break down or run out. This could cause various problems, the transmission can shoot out of gear or make strange loud noises. Incase this happens it is wise to have the transmission rebuild. 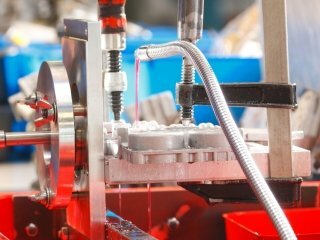 Rebuilding a gearbox can also be recommended as a preventive measure, some problems can be prevented and you will always have a well-lubricated gearbox. Ganzeboom can provide in gearbox rebuilding and gearbox parts. 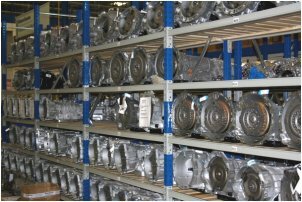 We also have a large stock of gearboxes for a wide variety of brands and models.